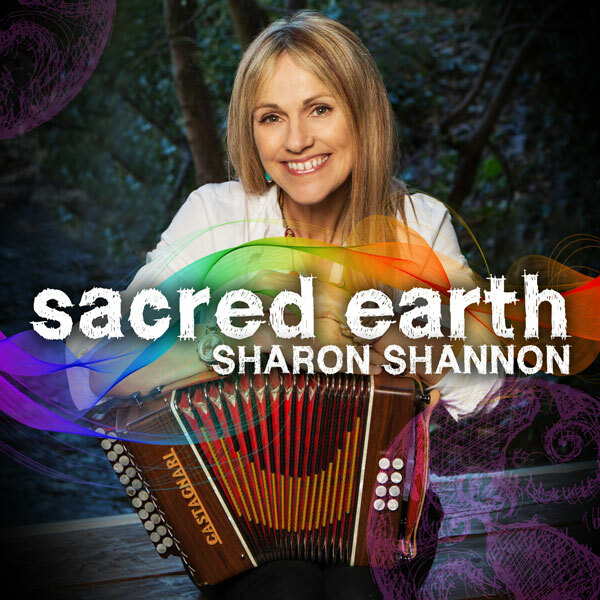 Sharon Shannon is a musician who likes to surprise. While she is known for her arrangements of traditional Irish tunes and Irish-influenced compositions, she has always been eager to explore new styles, and to meet and work with other musicians. There are Irish influences here, of course, but these are cheerfully mixed in with often unexpected styles from around the world, including – for the first time – Africa. Sharon has perfectly mastered an African/Irish crossover. Justin Adams, who co-produced the album has long been an expert in African (and Middle Eastern) music styles. Justin played on Sharon’s 2007 album ‘Renegade’, and she wanted to work with him again on this project both because of his African connections and because “he’s such a generous musician and I love his fearless approach to music”. According to Justin “ever since a latenight music session at her house in Galway, I’ve been aware of the joy and openness that goes alongside Sharon’s rootedness in tradition. My musical passions that have led to immersion in Blues, North and West African music and Reggae sit easily with Sharon’s dancing rhythm, and show the ancient connections from South and East to West and back again, connections we need to celebrate more than ever”. It’s her free-wheeling approach that makes Sharon Shannon so exciting. And she puts it all down to the time she spent working with The Waterboys, when there were “no rules as to the type of music played…we could move very easily from a punk song to an old timey American waltz to Irish jigs and reels and onto New Orleans-type blues”. As a soloist, she has continued that approach. Working with Denis Bovell on ‘Out The Gap’, back in 1994, she found that “the reggae rhythm lent a very groovy backing to an Irish reel”. Since then there have been excursions into Argentinian tango, Breton music, American folk and country, and much more besides – including, of course, that massively-successful collaboration with Steve Earle on ‘The Galway Girl’.